Lisa, my long-time friend (in real life), quietly celebrated her One Year Blog Anniversary this past week. Sorry, Lisa, just remembering it now! Lisa enjoys cooking and prepares many foods for her family from scratch. She shares many recipes on her blog, My Extraordinary Life. Lisa's recipes are helpful for families that deal with gluten issues, as well as those that do not have to worry about gluten. In recent weeks, Lisa has been working hard to find the perfect lunch box for her kids to carry to school. She plans on filling it with healthy lunch options that her kids will love! In her post, Lunch Box Experiment - Part 2, you can read about what Lisa plans on packing for her kids this school year. 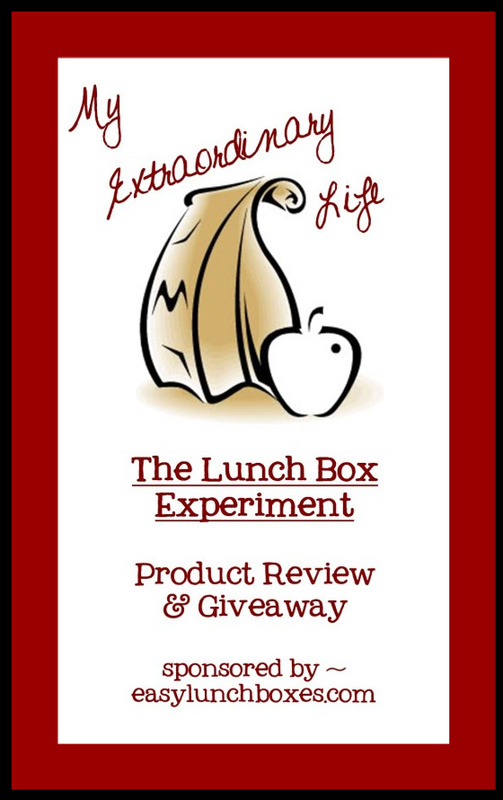 Also, check out Part 1 of the Lunch Box Experiment series. Part 3 will be coming soon, along with a product review & giveaway! Over at Welcome to Colie's Kitchen, Nicole tells us about a restaurant her family often went to when she was a kid. 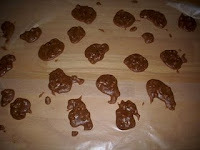 She alos shares a recipe for a candy she enjoyed from that restaurant. I cannot wait to make her easy, 5-ingredient recipe for Monterey House Candy. I'm thinking these will be great around the holidays! Last weekend, Joe bought me some chalkboard paint for a project I've been wanting to work on. So I was really excited when I saw the Chalkboard Paint Projects on It Feels Like Chaos. Because I know that once I finish the project I have planned, I'm going to want to paint a chalkboard onto anything I get my hands on! I love the fact that she even got her kids involved! 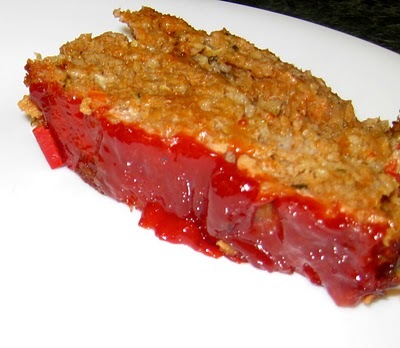 Debbi's Saucy Veggie Meatloaf is another recipe I cannot wait to try! I've been hooked on adding extra veggies to my recipes for a while now, so her recipe is right up my alley! Now that I am trying to lose weight, I have a feeling I'll be trying a lot of Debbi's recipes! I love that she post the approximate calories for every meal on her blog, Debbi Does Dinner Healthy. And probably the best thing about this past week in blogland is that my Crock Pot Swedish Meatballs post was picked as a Colie's Kitchen Impressive Recipe on Thursday! Thanks for the love Colie! Oh, I love the chalkboard paint on food jars idea! Usually I scribble on them with Sharpie but then I have to scrub it to get it off the jar when I want to use the jar for a new purpose. Chalkboard paint is a great idea. Any idea how well it holds up in washing? You're awesome!! Thanks!! I so want to check out that candy! I am your newest follower. I found you through the blog hop today. 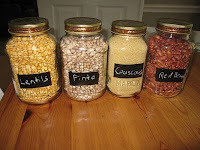 Love the cool ideas you have with the chalkboard paint on the jars. I hope you can visit my blog at http://mylifeadventurebyme.blogspot.com/. Have a great sunday. 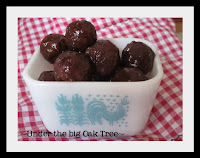 I may have to try out your crockpot Swedish meatball recipe. I'm always looking for new, easy recipes for our week-night dinners. That meatloaf looks yummy too, and meatloaf is usually a hit with my kids. Thanks for stopping by Relax & Surf Sunday. I am following you back. I hope you're having a great Sunday! I am your newest follower from the Saturday Blog Hops. Cute blog you have here. Please come visit when you have a moment. Follow Us Monday Morning @ Frugality Is Free. For more places to link up make sure to check out the Blog Hop Collection and the Art, Craft, Tablescape and Food Linky Collection .